Executive Mosaic’s GovCon Index closed higher Thursday as gains by large defense platform and product makers helped offset declines by a majority of the GCI’s 30 stocks with mid-tier prime contractors and government services providers in red. U.S. stocks traded lower by comparison with real estate the largest drag on equities in the last full trading session before President-elect Donald Trump’s inauguration Friday as investors looked ahead to his speech after he takes the oath of office at 12 p.m. Eastern time. 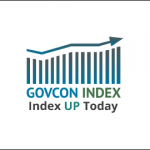 GovCon Index decliners outnumbered gainers by a nearly 2-to-1 ratio as six of its 11 S&P 500 components advanced with L3 Technologies (NYSE: LLL) the top net performer and McKesson Corp. (NYSE: MCK) the largest laggard among companies listed in both indices. Six GovCon Index stocks added at least $1.00 each with two companies down by that amount. All of the GCI’s top five net gainers in Thursday trade received target price agreements from Credit Suisse in a note issued to investors before the open: Huntington Ingalls Industries (NYSE: HII), L3, Lockheed Martin (NYSE: LMT), Northrop Grumman (NYSE: NOC) and General Dynamics (NYSE: GD). Credit Suisse lifted the target price on HII’s stock from $150 to $203, L3 from $182 to $183, Lockheed from $257 to $282, Northrop from $216 to $247 and General Dynamics from $169 to $205. These large defense primes and others led the GCI to a series of record-high closes after Trump’s Nov. 8 election win on investor expectations of higher military spending in the next administration. Analysts at Credit Suisse expect investor reaction to the coming round of aerospace and defense earnings reports to focus on 2017 earnings and free cash flow guidance. Rockwell Collins (NYSE: COL) kicks off earnings reporting season for GovCon Index companies Friday and the following week features fourth quarter and full-year financial statements from all of the U.S.’ five largest defense contractors. Lockheed is scheduled to unveil results Tuesday; Textron (NYSE: TXT) and Boeing (NYSE: BA) Wednesday; L3, Northrop and Raytheon (NYSE: RTN) Thursday; and General Dynamics (NYSE: GD) Friday. McKesson’s decline Thursday coincided with a 0.63-percent decline in the S&P healthcare index as other notable GCI laggards in Thursday trade included government services contractors CACI International (NYSE: CACI), Maximus (NYSE: MMS) and ICF (Nasdaq: ICFI); plus military radio maker Harris Corp. (NYSE: HRS). Real estate shares fell 1 percent to lead nine major S&P sectors lower with industrials and telecommunications the lone two advancers.